The tiny PocketQube satellite WREN, just 5x5x5 cm and weighing 250 grams, aims to transmit amateur radio Slow Scan TV (SSTV) pictures using the Martin-1 format. Despite its small size WREN is equipped with a camera, a gyro, a magnetic field sensor, momentum wheels and pulsed plasma microthrusters. The camera is equipped with an image processing system which can find the position of the Sun and the Earth automatically. The communications uplink and downlink will take place on the IARU coordinated frequency of 437.405 MHz. WREN is flying inside a larger satellite called UNISAT-5 that will be launched in late November, 2013 on a Dnepr rocket from Dombarovsky near Yasny. UNISAT-5 should deploy WREN after launch. 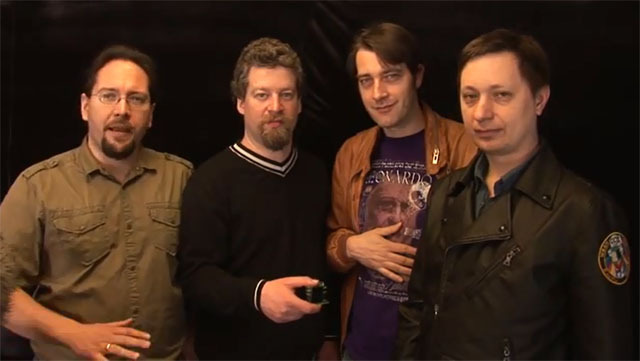 On September 7, 2013 Paul Kocyla and Sacha J. Tholl presented the working engineering model of the WREN PocketQube satellite to the public at the Maker Faire at Kerkrade in The Netherlands. 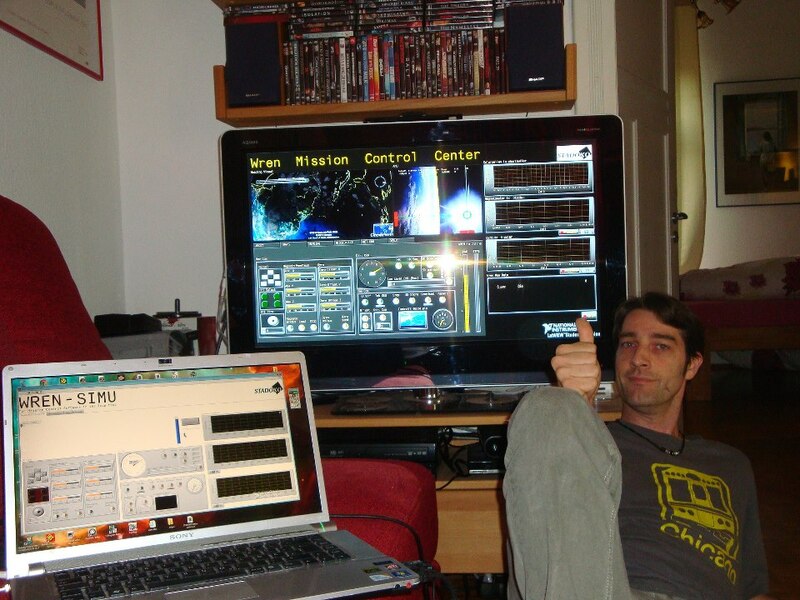 In this video they are sending live pictures during the faire using amateur radio SSTV, just as WREN will do in orbit. The four team members explain in the following video the mission objectives of WREN, believed to be the smallest satellite ever to carry Pulse Plasma Thrusters. In this video Sacha J. Tholl talks to Chantal Cappelletti, CEO from GAUSS S.R.L., the WREN PocketQube launch provider, and Paride Testani, principal investigator of the UNISAT-5 Project. 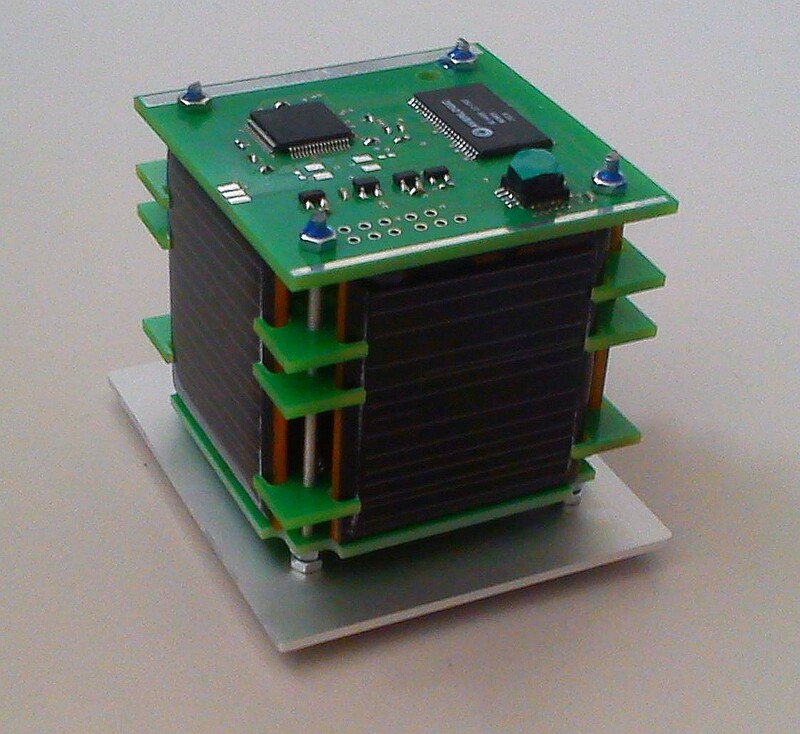 Watch How is WREN, the tiniest Satellite with Thrusters (5 cm³, 250gram) getting into Orbit?